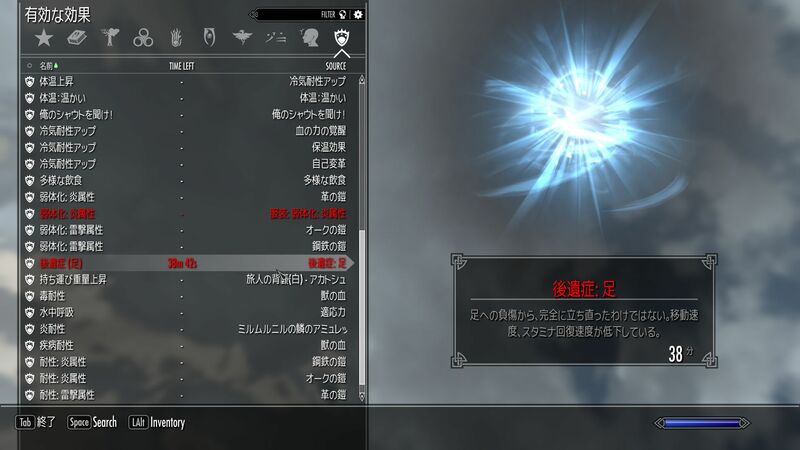 Skyrim Nexus, Alex9ndre. 20 Oct 2016. 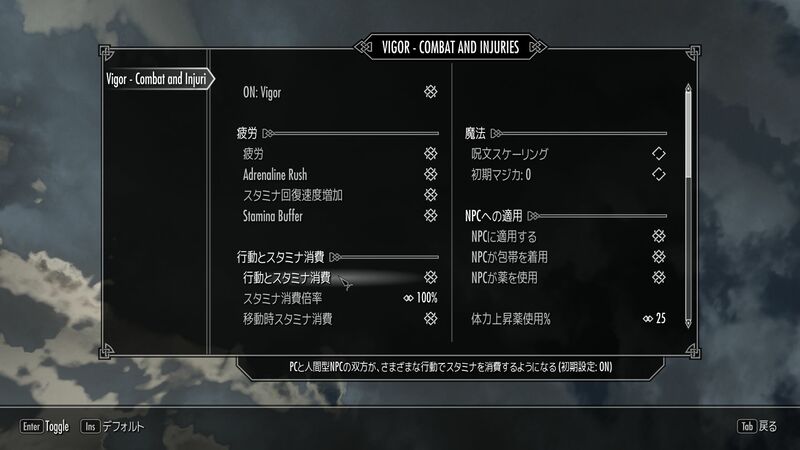 Vigor - Combat and Injuries. 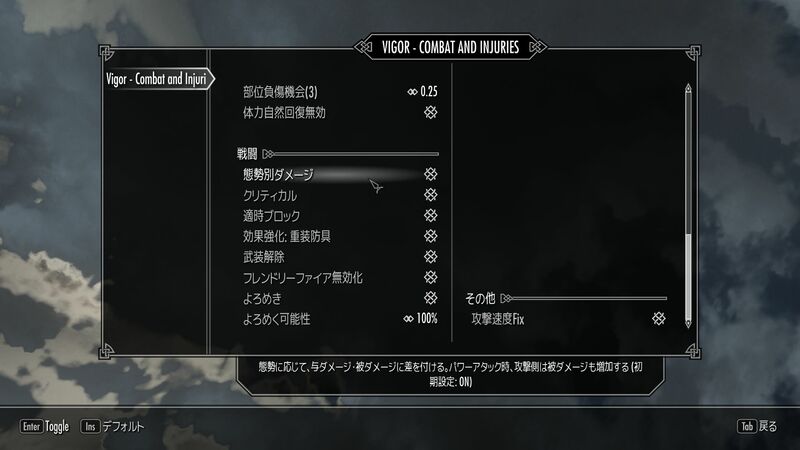 26 Dec 2015 <http://www.nexusmods.com/skyrim/mods/72180>. 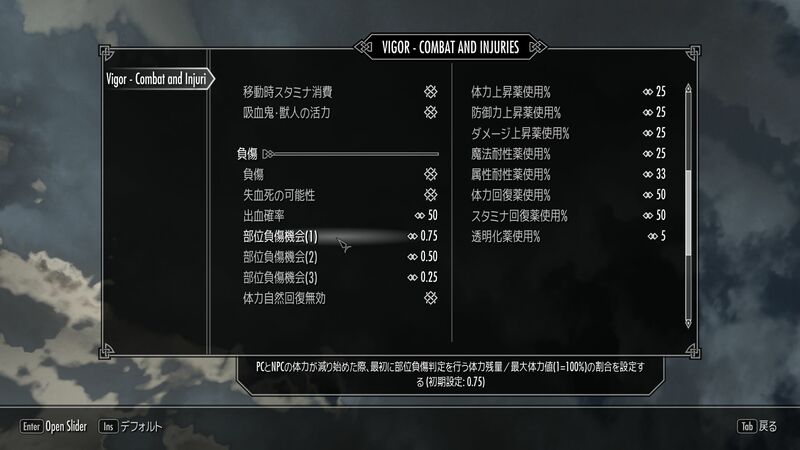 >Alternative armor skill increase - Vanilla Heavy and Light armor skill advance by getting hit have been halved, but now everytime an enemy attack you (hit or miss) you gain some skill increase based on the attacker lvl as long as you are moving and not blocking, effectively making you get better also by dodging attacks.